Vostro - Dell - Laptop Batteries """
Select Your Dell Vostro Model Below! If you don’t see your particular Vostro battery online, please contact us and let us know. We can arrange a special order and get them shipped to you. 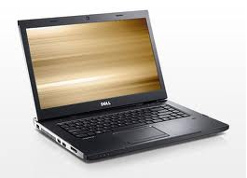 Try one of our long lasting Max Capacity batteries for your Dell Vostro, you won’t be disappointed. Typical replacement Vostro laptop batteries only offer 4400mAh or 47Wh of power in a 6 cell battery. Our Max Capacity laptop batteries far exceed that with 5800mAh and 63Wh of power. They will significantly extend your Vostro laptop battery run-time by about %20-%30 percent and last twice as long as similarly priced replacement Vostro laptop battery. Our Max Capacity exclusive uses Panasonics Advanced NNP technology which will extend the service life of our batteries to up to 3 years.